Petrofac is a leading service provider to the oil and gas production and processing industry. Our teams design, build, operate and maintain oil and gas facilities and train personnel. With a 37-year track record, we’ve grown significantly to become a FTSE 250 company with a reputation for commitment, delivery and operational excellence. It’s the attitude and skills of our people that set us apart from our competitors. That’s why we’re committed to developing our people, nurturing future leaders and enabling everyone within the business to perform at their best. We’re a culturally diverse company with around 12,750 staff worldwide, from more than 80 nationalities. We operate out of seven operational centres in the Middle East (Sharjah and Abu Dhabi), India (Chennai and Mumbai), UK (Aberdeen and Woking) and in Malaysia (Kuala Lumpur), plus a further 24 offices and a number of training facilities worldwide. Our engineering teams often work in some challenging environments, including offshore and desert sites. Wherever they’re based, our people are committed to completing projects safely, on schedule, and with a high standard of quality. Working together in a supportive and fast-paced environment, our teams are full of talented people with exceptional capabilities. They willingly go the extra mile and enjoy developing innovative ideas to overcome any delivery challenges we might face. Guiding our decisions and behaviours, our six values are at the heart of everything we do. 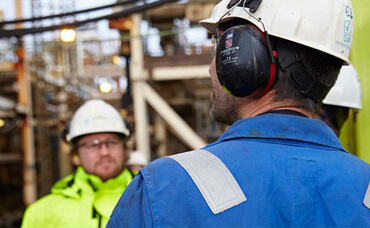 Petrofac people are Safe, Ethical, Innovative, Responsive, Quality and cost conscious, and Driven to deliver.